He’ll be remembered as one of the best baseball players of all-time, but also as a video game icon. Ken Griffey Jr. was today inducted into the Hall of Fame becoming the 51st player to make it in on their first ballet. Though not unanimous as three voters inexplicably left him off, he goes in with over 99% of the vote, the highest percentage in history. 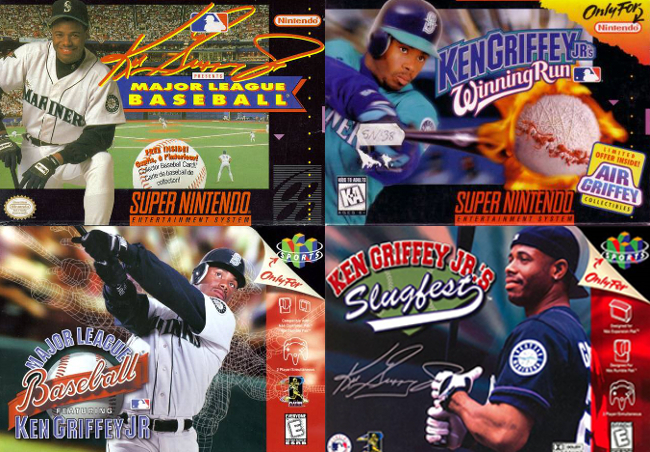 Between 1994 and 1999, Griffey was the face of four different Nintendo games: Ken Griffey Jr. Presents Major League Baseball (1994), Ken Griffey Jr.’s Winning Run (1996), Major League Baseball Featuring Ken Griffey Jr. (1998), and Ken Griffey Jr.’s Slugfest (1999). The first game did not have the MLBPA license which meant Griffey was the only real player included. Based on the Twitter poll from today it’s the final game that is being remembered as the favorite.